Cycling numbers are increasing. There are many shared paths around these days (too many some say, there should be more separate cycleways) and cyclists and pedestrians often become irate at each other. Pedestrians are often oblivious of their surroundings, congregate in the middle of paths for a talk, and let dogs wander across the path. Cyclists ride too fast, pass too close, don’t give warning when approaching and abuse dog walkers, amongst other behaviours. Motorists often block ramps leading to paths or fail to give way when crossing shared paths into car parks or service stations. By following a code of consideration and sensible riding cyclists will help their own cause by reducing complaints to Council, improving our community image and maybe encouraging more people to cycle. 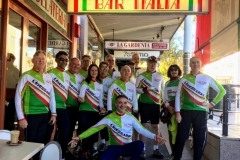 It has to be recognised however that many cyclists are not members of cycling groups like Bike Leichhardt or BNSW or aware of these issues, so it will take a concerted effort to reach these cyclists, probably at State Government level. Pedestrians and motorists also need to be included in the process. By law cyclists on a shared path are obliged to give way to pedestrians, which means slowing and if necessary stopping to avoid a collision. Not as well known is that pedestrians are obliged by law (see the Australian Road Rules) not to obstruct other users on a shared path, which means they should move out of the way of a cyclist if they are aware of a cyclist trying to pass, not stop to talk in the middle of a path, restrain children, strollers and dogs etc. This seems reasonable and not onerous on walkers or cyclists. Mutual cooperation and respect should allow all users to move freely and safely. 1. All path users (children an exception) to be aware of their surroundings and keep an eye out for other users. 2. All users to exercise caution, ride, walk, roller blade or jog at a speed where they can stop if necessary, and ring bell or otherwise signal on approach to other users, giving other users sufficient time to react. 3. Cyclists and joggers or roller bladers to pass other users at a safe distance. 5. Pedestrians and cyclists to move off a path if stopping for any reason. 6. Dog owners to keep dogs on a close leash or close and under control at all times on a shared path, and to obey any designated no dog areas. Council can play a part by designing and constructing paths to a high standard, including providing a good surface, adequate width for the likely usage (and segregated or separated cycleways if warranted and possible), supplying seating and bike parking well off the path, sign posting shared paths prominently so all users are aware of the status of the path, promoting a considerate shared path etiquette through various means, such as leaflets to residents, signs, posters, website and safety campaigns. 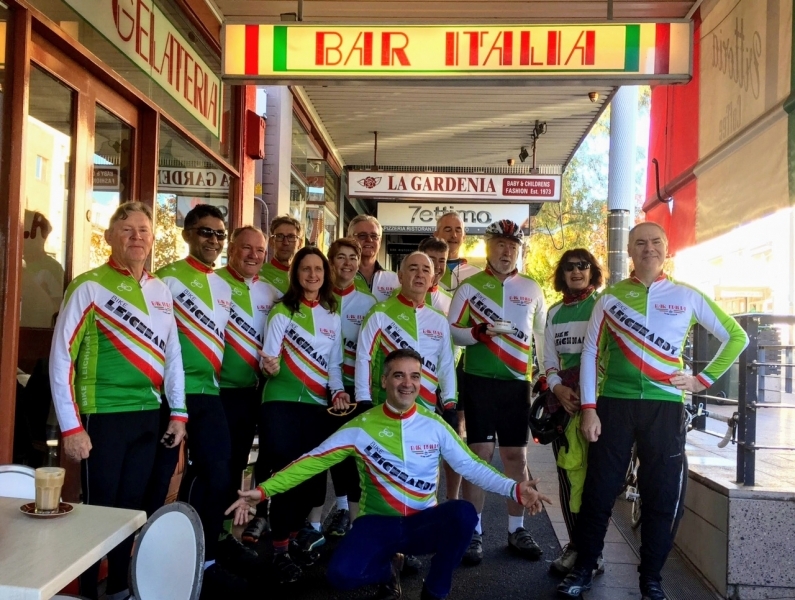 Reducing conflict between cyclists and pedestrians– advice prepared by Qld Govt. Keeping Cycle Access– Bicycle Transport Alliance. City of Sydney– path users education campaign.